LEARN THE GAME. LOVE THE GAME. Ferraro Brothers Hockey is a multi-platform company dedicated to encouraging, supporting, and sustaining youth hockey awareness, safety, and education through on-ice training, off-ice instruction, charity events, and a presence in the community. 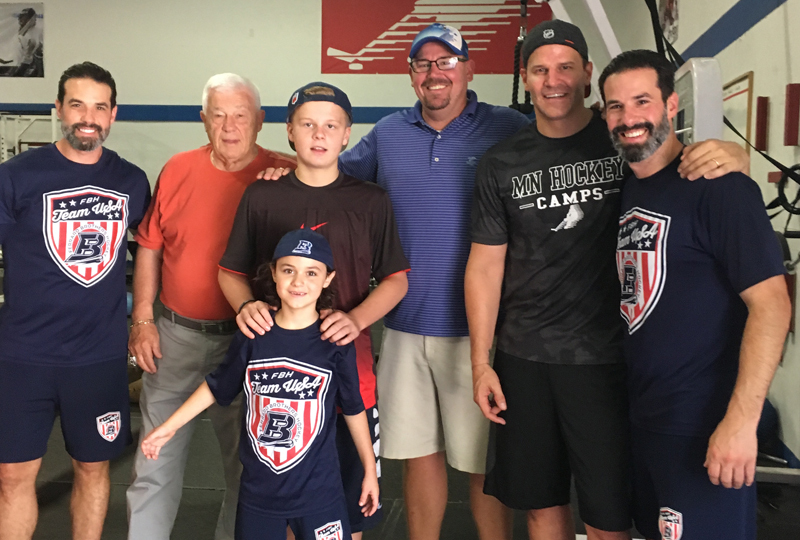 With a combined 32 years of professional hockey experience, Chris and Peter bring the knowledge and expertise garnered from their years spent in the NHL, AHL, IHL, and the 1994 Olympics to numerous facilities across the tri-state area in a series of one-of-a-kind hockey experiences. Having learned the game while playing alongside all-time greats such as Wayne Gretzky, Mark Messier, Brian Leetch, Pat LaFontaine and Jaromir Jagr, the Ferraros have developed a uniquely designed on-ice and off-ice program to educate players of all ages and skill levels in an encouraging and enthusiastic environment. With a mission to prevent young hockey players from leaving their families on Long Island to train, prepare, and reach the next level of a hockey career elsewhere, Ferraro Brothers Hockey will provide the opportunity for players to stay right at home and receive the appropriate hockey education and training needed for an aspiring athlete. Ferraro Brothers Hockey and its experienced staff provide an unparalleled combination of hockey education, specialized instruction, nutrition education, “chalk talk”, coaching seminars, video analysis, edge work, and “skills & drills” routines that challenge players and goaltenders to elevate their game to the highest level. Whether it’s on the ice at the Ferraro Brothers Hockey Clinic, or the newly unveiled Ferraro Brothers Goalie School, participants in Ferraro Brothers Hockey programs are introduced to a high level of intensity and game-like situations aimed at developing the speed and skills of all players. The Ferraro's comprehensive knowledge of the game is capable of unlocking the potential within each player that attends their clinics, and their presence on the ice inspires and motivates. In addition to Chris and Peter, the entire staff at Ferraro Brothers Hockey is trained to coach in a manner that empowers and stimulates the student to crave progression through an explosive and rigorous workout. With so many advancements in training equipment, technology, and several other available resources, today’s athletes are beginning to specialize at a much younger age. This aspect of athletics certainly applies to the game of Hockey, where hockey players must focus on the proper fundamentals and techniques of skating – a primary ability needed to play the game. 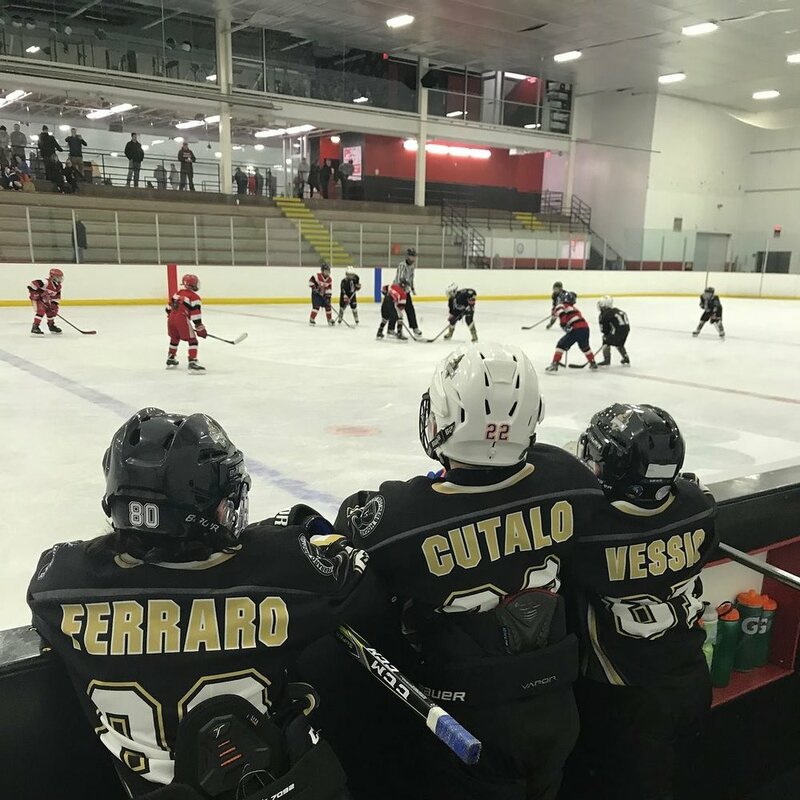 Ferraro Brothers Hockey offers hockey development programs for a variety of ages and skill levels including: Squirt, Peewee, Bantam, Midget, Junior, and College. “I have known Peter and Chris for 20 years and they have shown a great passion for hockey and helping young players grow both off and on the ice. Their camps will give you a greater understanding of what it takes to become a better player and truly appreciate the game of hockey." “Chris & Peter Ferraro epitomize hockey on Long Island. I am a big fan of theirs and recommend the Ferraro Brothers Hockey program to anyone serious about growing their hockey skills."